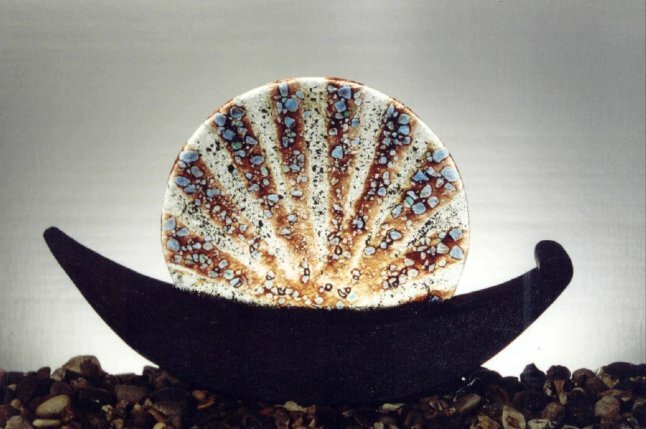 I am a self-taught artist and I work with clay and glass. My pots are hand-built, burnished and gilded with various metal leaf. In my sculptures, I bring clay and glass together: the light, colour and fluidity of the fused glass comes in strong contrast with the body and opacity of the clay.